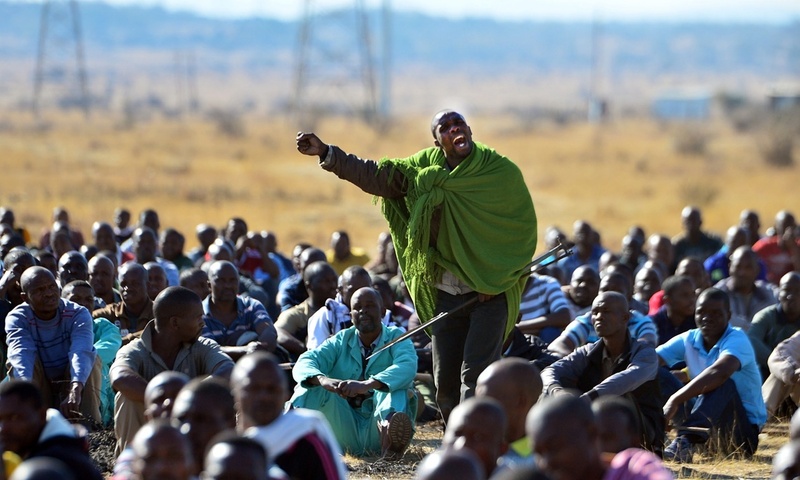 South African police open fire on a large crowd of men who had walked out on strike at the British-owned Lonmin platinum mine at Marikana, killing 34 workers. The miners – who earned roughly $400 a month – were on strike over wages. In contrast, Lonmin’s annual profits for shareholders in 2011 was $273 million, and its CEO was paid nearly $2 million a year. 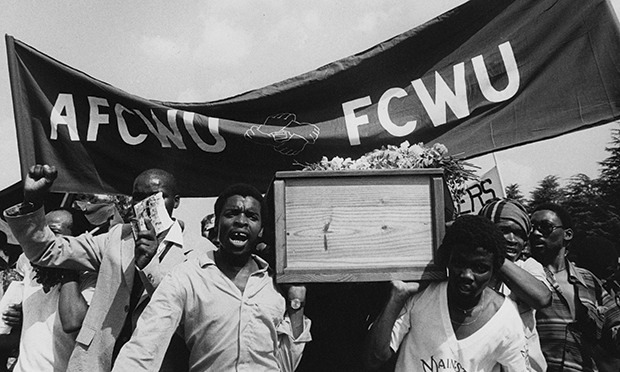 15,000 people attend the funeral of Dr. Neil Aggett, a South African physician and union organizer. 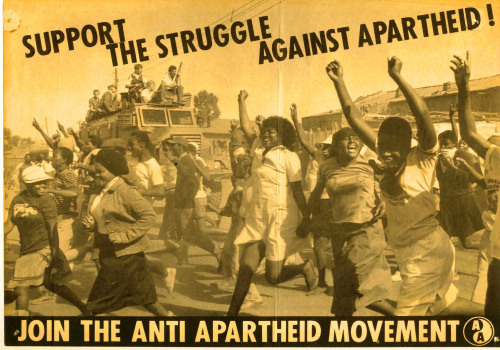 Detained by the security police for his anti-apartheid and labor activism, Aggett was held and tortured for 70 days before dying in police custody. Aged 28, he was the only white South African to die in detention under apartheid. 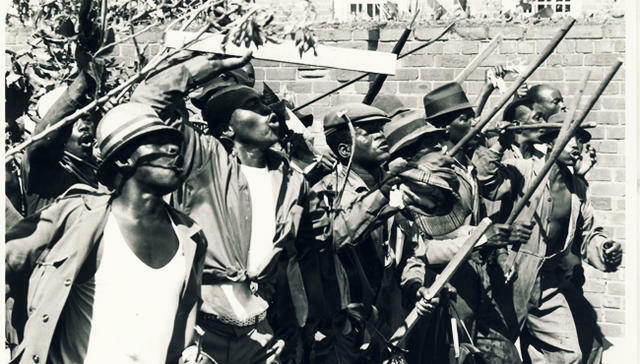 Workers making a minimum wage considerably lower than the poverty line at the Coronation Brick and Tile factory outside Durban, South Africa, begin what will be a successful strike. 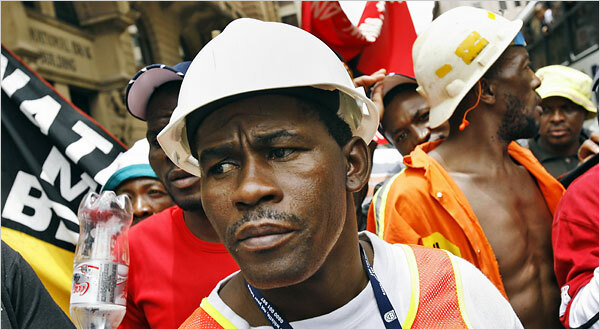 Workers in other sectors in the city and beyond followed suit, and by early February, 30,000 South African workers were on strike demanding increased wages and better working conditions. South African workers at the 3M plant in Elandsfontein near Johannesburg stage a half-day walkout in solidarity with 3M workers in Freehold, New Jersey. The company announced in November 1985 that it would close its plants in Freehold, Boston, Pittsburgh, and Van Nuys, California. A three-day nationwide general strike involving an estimated 2.5 million people is underway in South Africa, called for by unions and anti-apartheid groups in opposition to the apartheid government’s two-year old state of emergency and proposed legislation that would restrict the right to strike.